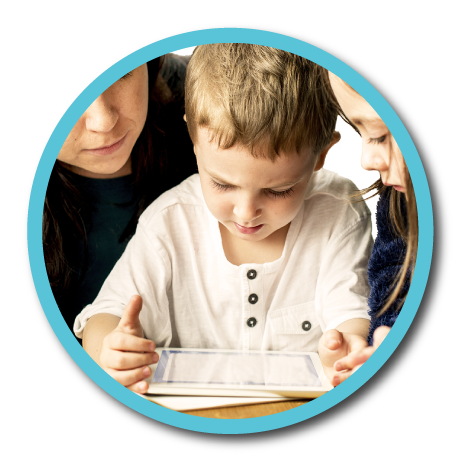 Voweletics® The New Phonetics is rooted in the belief that strong phonetic instruction is key to academic success. The program was developed by a team of educators passionate about taking the guessing out of learning to read; while cultivating a joyful and rewarding experience for teachers and students. Voweletics is an effective reading program that teaches phonemic awareness, phonics, vocabulary, fluency and comprehension using an engaging, multi-sensory method that parents, teachers and children love! Voweletics provides a simple, systematic method for sounding out words that is fun and engaging. Our research-based approach ensures the reader understands how and why the vowel sounds are different. Voweletics offers curriculum to academic institutions and homeschool parents. We also offer a hands-on program for parents. Click below to learn more about the program we designed for you!